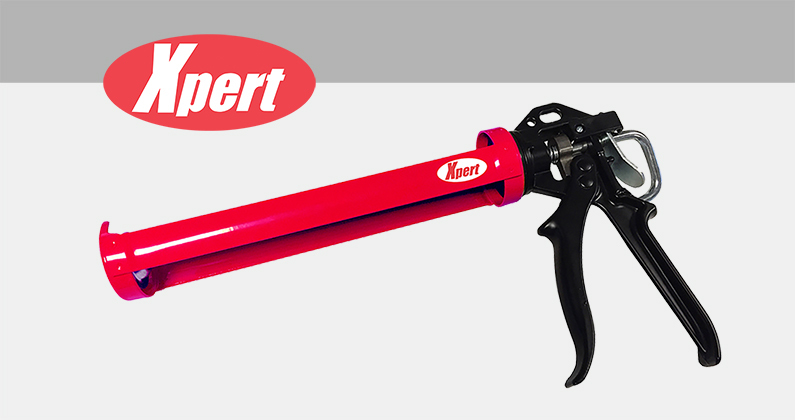 If you hate waste, you’ll love the new dripless mastic gun from Xpert which is guaranteed to stop pushing out sealant as soon as you release the trigger for a responsive flow cut-off and minimal mess. That means you can wave goodbye to all those annoying, involuntary splurges of silicone spaghetti and out-of-control caulking curls which are a common irritation of old-school, cheaper guns. Whether you want to apply caulks, sealants or adhesives, the rotating barrel accepts both standard and larger sized tubes for flexible usage and controlled, comfortable application. When not in use, the gun can easily be hung up and safely stored away by means of a handy hook. Silicone sealants are a crucial component in any window installation, which means fitters can’t afford to scrimp on this toolkit essential. The Xpert dripless mastic gun is a cost-effective, highly capable piece of equipment that promises first-class results fast! Click here to find your nearest Xpert stockist or email sales@xperttools.co.uk if you’re interested in selling Xpert products.